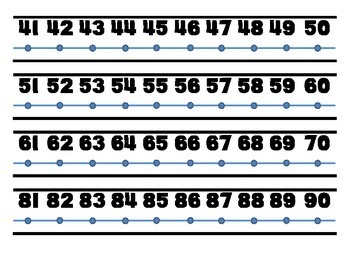 The possibilities and opportunities for students to practice using their numbers 1-100 are endless with these number line segments! - It's as simple as this: cut, glue all segments together and laminate to create number lines for individual students. 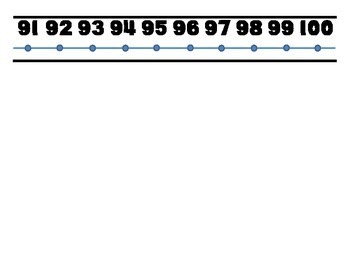 - You can create a whole number line or laminate each as a segment if you only want students focusing on portions of numbers at time. 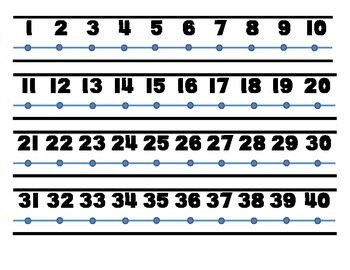 - Allow students to manipulate and create number lines using these cut outs!